but also in other countries such as France. VAF is dedicated to support the disabled and the people in need, giving them necessary educational orientation in order to help them overcoming social barriers and have a better life. Additionally, VAF has been playing a role in environmental protection and education by our other project at Xuan Thuy National Park. One of such projects is called “Open Road”. To become the "Eyes" of the visually impaired people, VAF has devoted our effort into creating a new road with this project. This project consists of two parts - building a studio at Nguyen Dinh Chieu School and recording to create an online audiobook library using the studio. This library provides the visually impaired with not only general knowledge but also necessary skills for step-by-step integration into the community which they belong to. Some responsibilities of MC team: improving VAF's communication strategies, enhancing social media sites, designing promotional materials (event posters, invitation cards, etc. ), photographing, filming, etc. meticulousness and the skills of making handicrafts. Responsibilities of MTM team: creating teaching materials which support visually impaired students in their studying, especially English, and their daily life. This is arguably the toughest and most rewarding position out of the three. 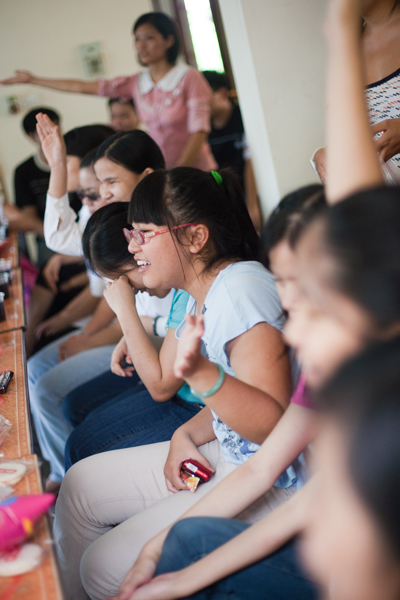 Volunteers will have a chance working with and teaching English to the visually impaired students at Nguyen Dinh Chieu School. This will not be your average teaching experience as our students are always full of surprise! 3. What will you gain? Orientation and Mobility and Braille. Besides from the unforgettable memories, you will receive certificates to remind of your time here with us! Now that you know what position(s) you want to be in, your next step is to send in your application. The application process is pretty straight-forward, but it is very important that you follow the instruction carefully and submit all the required documents, or else your application will be invalid. Your first step is to fill in this application form. It is a very short and straight-forward form. This step should take about 15 minutes. Please write and send your CV, Cover Letter and a portrait photo to blindschool@vietnamandfriends.org. Your CV should outline your academic background, work experience, notable achievements and skills (not necessarily in that order). Reference is not compulsory; however, it is recommended. While we suggest that your CV should be 1 to 2 A4 pages long, your CV can be as detailed as you want to. Feel free to impress us with your creativity and organizational skills! Your Cover Letter should add to your application and not be a repetition of what you have discussed in your application and your CV. Your Cover Letter should be 300 to 350-word long, explaining why you want to be a volunteer of VAF and highlight two to three key skills and experience that would make you a suitable candidate for your desired position(s). Your photo doesn’t have to be taken by a professional but it must not be a selfie. It should clearly show your face against a plain background. The name of all your documents should be your full name followed by the document name (for example, “Nguyen Van A - CV” or “Le Thi Hoa - Cover Letter”). When sending the documents, the title of the email must be [VAF01][YOUR_FULL_NAME][Local Volunteer Application August 2016]. ALL DOCUMENTS MUST BE SENT BEFORE THE APPLICATION DEADLINE. Once we have read through your application form and supplementary documents, we will call you for an interview if we feel like you are a good fit for the organization. 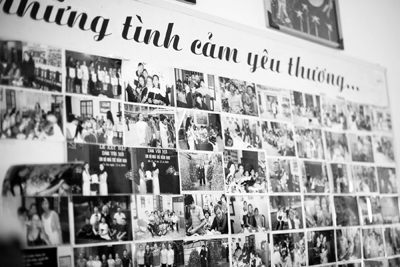 Attending an interview at 21 Lac Trung Street, Hanoi is required if you want to be a volunteer of VAF. Give yourself a big round of applause for passing the first 3 steps. The hardest part is now over, and there’s only one thing left for you to do - to wait. At this stage, it’s important to keep in mind that due to the large pool of applications that we get, we often have to heartbreakingly say farewell to some very competent applicants. If you do get in, however, buckle up and get ready for the ride of your life! For Media and Communication: familiar with social media, good writing skills, strategic mind, experience in MC is preferred but not required.